A confusing tale about a boy who aimlessly wanders around his hometown of New York after being thrown out of his posh grammar school. 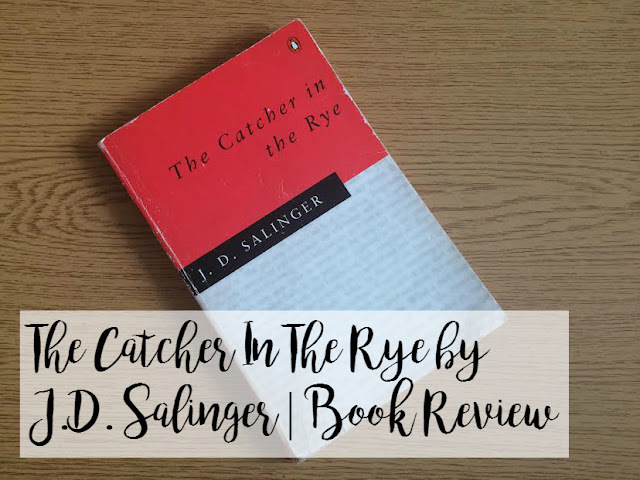 The Catcher in the Rye is a classic novel that seems to be a staple on many people’s bookshelf but until a couple of weeks ago I’d never even touched the book. I’m quite undecided about how I feel about the book as a whole, but I thought that I’d share my overall thoughts with you anyhow in order to give you a review on the book that seems to have confused my mind thoroughly. I was given this book by a friend from school in my English Literature class. 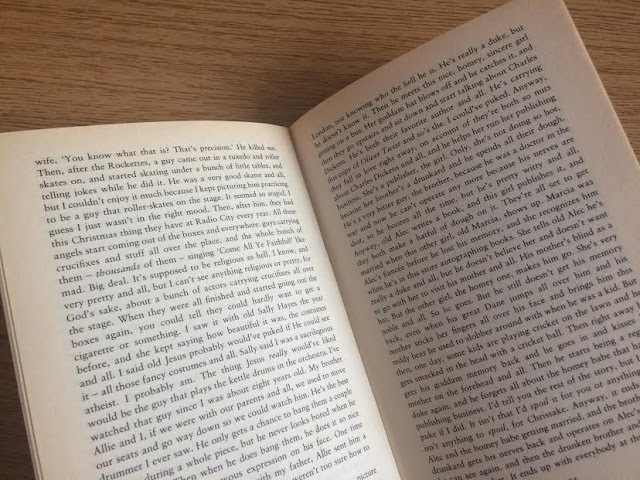 Now, this exact copy of the book had been passed around quite a few people in our friendship group from English Literature and everyone had extremely different opinions about it. Someone thought it was revolutionary, others understood the creative brilliance of Salinger and others outright hated it. I entered reading the book with lots of different opinions circling my mind which now thinking about it could’ve possibly clouded my judgement about the book. Anyhow, with multiple judgements swimming around in my mind I eagerly jumped right into reading the book on my way home from sixth form the day I was lent it. Before I was even five chapters in I realised that this book was not one of “normal” standards, it was actually far from it. 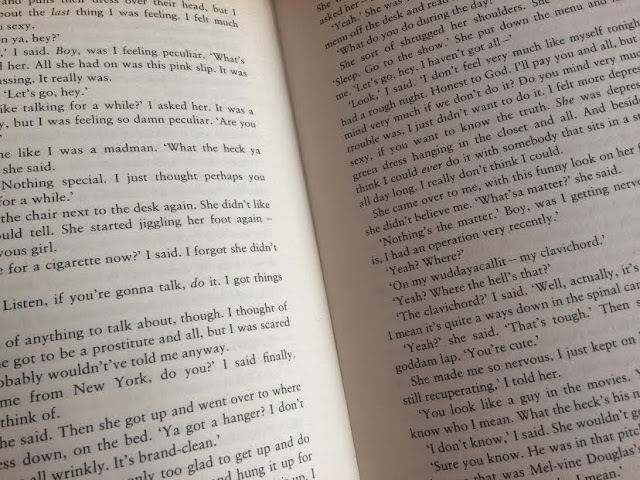 The book itself was almost a collection of ramblings rather than a story, even as I read more and more of the book I never felt as if there was an end point, it just kind of felt like it was going to carry on forever because Holden’s ramblings carried on. However, unlike many of the people who I know that have read the book, I quite enjoyed the ramblings because it matched my thought process and stream of consciousness a lot where it was quite sporadic and so many things were happening at once that it almost hurt my brain to try and process all of that information. That probably sounds pretty unenjoyable to most of you, however, when you're trying to figure out the way that the story is going to unfold it's actually quite enjoyable. Overall, I feel as if there should've been five or six extra chapters added onto the end of the book itself. I just felt like the book ended at an extremely odd place and nothing was ever really explained. I don't know whether I was the only person to feel this way but I finished the book feeling rather incomplete about what happened to Holden and his little sister and even Stradlater. There were a lot of unanswered questions running through my mind once I closed the book and I really wish that I could get the answers to them. So Mr Salinger, if in another life we meet you can expect a long conversation about your thoroughly confusing, but quite brilliant novel. People who have read this book and said it is confusing are fools. It's insight into the world of a teenager who examines the personal attributes of people around him. Their personalities and attitudes were critical examined point of him asking the big question why? His out of touch distended view of everyone else is because he can't come terms with brothers death. Inflating his with thoughts of Stradlater bad hygiene and attraction to a girl that Holden himself admires, his view of Ackley with pimply completion and annoying habits of picking things up that are not his, yet still a nice person. All of these things are just the tip of his sole searching to understand his own troubled mine coming terms with his own self blame that most family people feel when they have lost a loved one. He cared very much for his brother. This is why "The Catcher In The Rye" saving the children who can't see over the tall rye grasses from falling over the edge, as Holden feels his brother did. It's a sad state that many people fall into. That's what makes this book a great book.